Artist’s impression of BepiColombo-MMO at Mercury. Credit ESA and NASA. 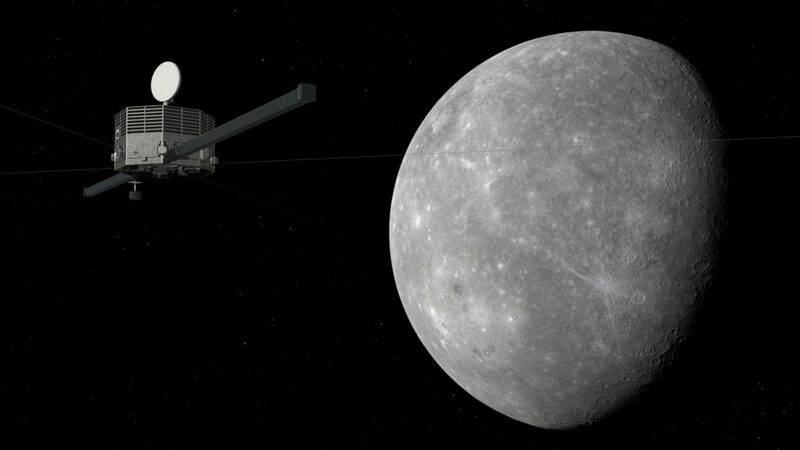 BepiColombo is composed of two space probes: MPO (Mercury Planetary Orbiter, ESA) for Mercury observations and MMO (Mercury Magnetospheric Orbiter, JAXA) for the study of the magnetized environment. The scientific payload of MMO includes the AM2P instrument developped at LPC2E to measure the plasma density and the electron temperature in Mercury’s magnetospheric plasmas. More news to follow.